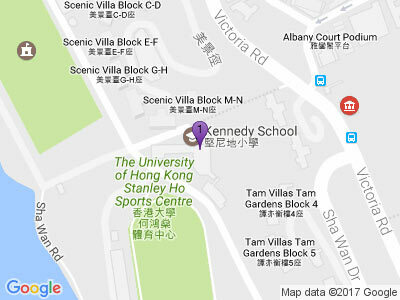 The main focus of Physical Education at Kennedy School is to teach children Physical Literacy. Physical Literacy is the mastering of fundamental movement skills and fundamental sport skills that permit a child to read their environment and make appropriate decisions, allowing them to move confidently and with control in a wide range of physical activity situations. It is critical if children are to feel good about physical activity and supports long-term participation and performance to the best of one’s ability. Our multi faceted sports programme offers students the opportunity to discover the capabilities of their bodies and the variety of ways in which they are able to use their bodies to solve problems, address physical challenges, function as part of a group, manipulate equipment or apparatus, and express themselves in a range of situations. Students are exposed to a number of activities that will develop gross motor skills that may later be applied in various sports. They will become aware of a number of positive leisure time pursuits. Students will develop skills that they may apply in a variety of contexts within and beyond the school setting. These skills include the use of proper safety precautions when engaging in physical activities, recognition of the importance of fair play, use of cooperative behaviours and the ability to function as part of a group or team. A variety of tasks requiring the use of physical and critical-thinking skills by individuals and/or groups; challenges that require groups to work together collaboratively in order to solve problems and accomplish a common goal; recognizing the role of the individual in group problem solving. Recognizing that movements can be linked together and refined to create a sequence of aesthetic movements. Movements can be in response to stimuli or performance elements and/or criteria and can communicate feelings, emotions and ideas (for example, gymnastics, dance*, martial arts). This strand explores the sequential development of students’ competence, confidence, success and enjoyment of the basic skills and techniques involved in a variety of games related activities. Students are exposed to opportunities to deal with the concepts of cooperation and teamwork. The development of basic motor skills and the body’s capacity for movement through locomotor and manipulative skills and/or experiences; the techniques, rules and purpose of a range of athletic activities (for example, track and field, swimming); recognizing a high level of achievement and how to improve a performance. This strand develops an awareness of the importance of physical activity and maintaining a healthy lifestyle. Health-related activities are relevant for all other strands of PE. Some class teachers may cover health related issues as part of their normal lessons; others may use specific lessons to promote understanding in a more explicit way.